While the ATO is generally fair in its treatment of business debt, it does use tougher measures which can have a significant impact on the future of a small business. A statutory Garnishee Notice is one option available to the ATO to collect outstanding company taxation debts if other more usual avenues, such as debt negotiations, have failed to repay the owing tax liability. The commissioner issues the notice to a third party, such as a bank, compelling it to pay funds held on a taxpayer’s behalf to the ATO to recover a tax debt. To any bank accounts in the taxpayer’s name. A Garnishee Notice will also remain in place for any investment accounts that have not matured. 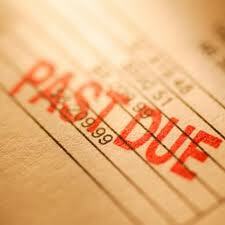 Debtors who owe or may later owe the taxpayer money. Any superannuation funds, although the Notice will not be effective until the benefit is payable. Life insurance policies, where the Notice will not become effective until the monies become payable. A company in which the taxpayer has shares (the dividends may be targeted). The taxpayers solicitor, for money held in a trust account on the taxpayer’s behalf. A Third party, for money paid to the taxpayer before the notice was issued. A Garnishee Notice has the potential for many reasons to cause considerable problems for small business owners. The Notice is usually issued without warning-often the taxpayer’s bank will have received the notice before the taxpayer is aware that their available funds are gone. The ATO sends out a Garnishee Notice when the matter has gone out of the normal recovery process and has entered into the Legal Division of the Taxation Office. At this point negotiation options tend to be limited and usually indicate the start of legal recover proceedings including winding up or property seizure. The taxpayer’s bank may react by re-thinking their financial commitment to the business and may freeze bank accounts as a response. Garnishee Notices can have severe implications for both businesses and individuals, and cause serious cash flow problems for small businesses dealing with an already stressful financial situation.